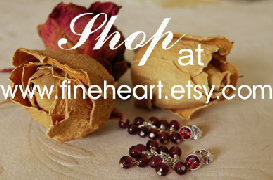 Fine Heart Boutique Blog: musings about life, jewelry and etc. To get festival and discount notifications, click here. Send a note stating "Yes, please add me to your e-mail list " or "Yes, please add me to your snail mail list only."